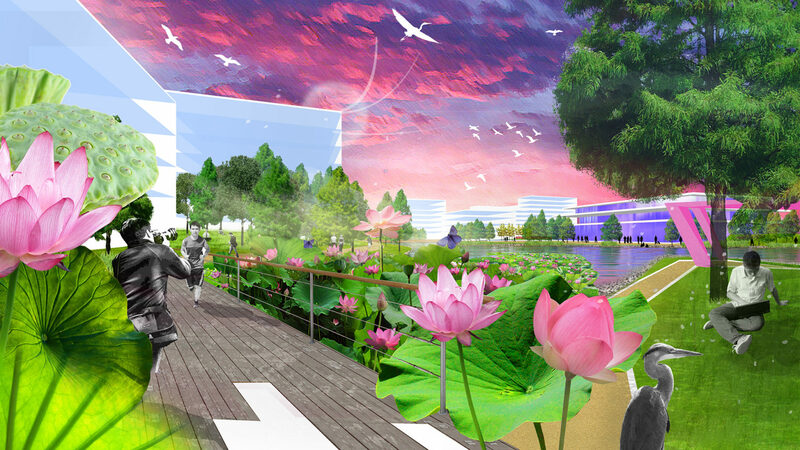 Working with our partners in China, we have created a masterplan for a world-class research and development campus set within a peaceful, harmonious landscape. 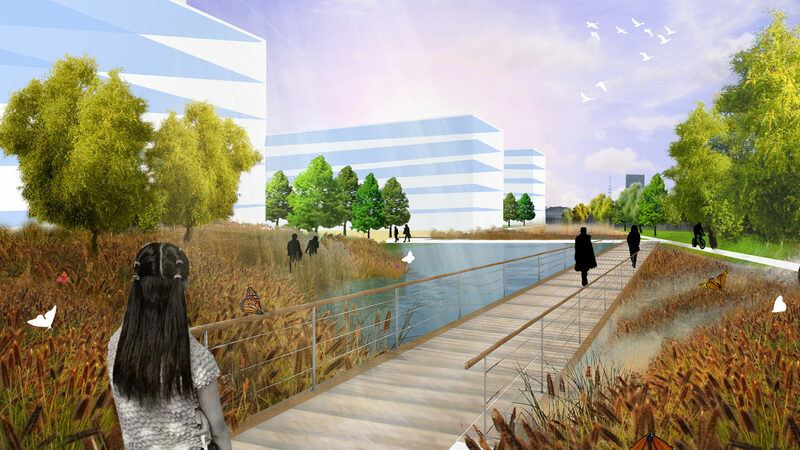 The landscape vision centred on ‘The Fields, The River, 9 Landscapes’, taking inspiration from the historic agricultural use of the site, the city’s Yangzte River and the diversity of habitats along the river. 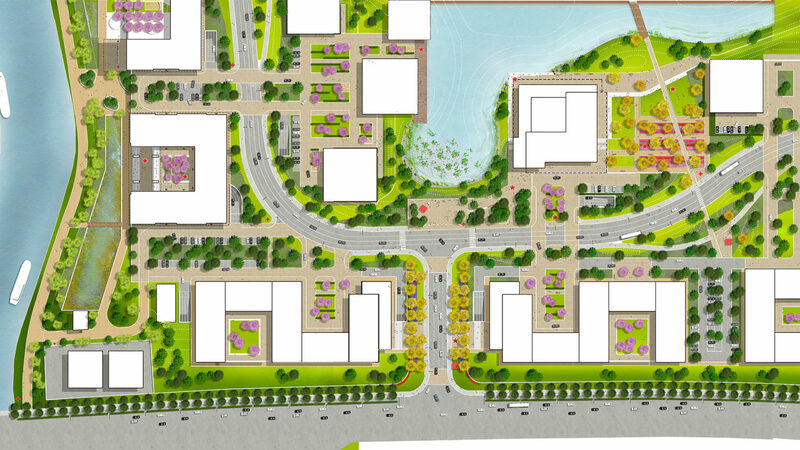 The masterplan is arranged around a 2.5ha central lake, surrounded by clusters of buildings in diverse courtyard settings, which border the canal.